Better Cleaning Company is recognised for its dependable and helpful local rug cleaners Clapham Junction SW11, and also the top quality rug treatment services it provides to its personal and business clients in the region. As an expert cleaning services provider we are equipped to clean all types of rugs (wool rugs, natural fibre rugs, hair-on-hide rugs, cotton rugs, synthetic or blended rugs) and eliminate a variety of spills (coffee, drawing paint, wine, tea, beer, urine, greasy food leftovers etc.). We are experienced and outfitted to handle even oriental rugs, delicate rugs and expensive rugs properly. For your further assurance, all of our services are completely insured. For that reason, if you need any type of cleaning and spot removal assistance for your personal rug, bear in mind to get our qualified services right now! No matter if you are searching for risk-free and trustworthy steam rug cleaning Clapham Junction or dry rug cleaning Clapham Junction SW11, we are available to support you throughout the complete full week. The cleaning technicians use a pro hot water extraction equipment to wash and rinse your rug in case it may be taken care of with water. 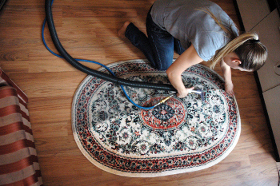 For more special rugs, they will carry out a more secure dry compound cleaning that needs no drying out. If you want professional and trustworthy rug cleaning Clapham Junction SW11 at very inexpensive prices, make sure you of the absolutely free and straightforward booking process. Contact our client care service daily. You are able to do that by calling 020 3746 3201 or using the online form right here. We will come 365 days annually. We will make sure that almost all rug types washed are left in perfect condition. Huge will be provided to all customers who combine the rug cleaning service with an additional one or much more of the services we offer. Those who book early on, as well as regular customers, estate organizations and landlords from the region will receive our advantageous prices for rug treatment also! Book immediately!